Data is turning into a new source of competition yet complexity, missing data quality and a rising talent shortage could prevent enterprises from harvesting their efforts. In today’s digital era, a new type of asset is emerging: data. What oil was to the 20th century is what is data has become in the 21st century — an engine that propels change, economic growth, competitiveness, and innovation. Enterprises are gathering, storing, refining, and analyzing vast amounts of data. In the digital age, data will be the essential input factor and determinant of a company’s future success. However, many companies are operating within a fragmented IT landscape and struggle with increasing complexity. This often thwarts their efforts to make informed business decisions, take advantage of the data economy and monetize their efforts. Half of respondents think that data is siloed and inaccessible to a wide variety of business stakeholders, which hinders enterprises from fully exploiting their data lakes. Due to rising data complexity, enterprises are not as agile and data-driven as they need to be. While 83 percent would benefit from a data integration solution, 79 percent think their company’s data needs more than just a checkup to make it healthy. Despite the widespread enthusiasm about cloud computing, 37 percent of data is still held on premises. Only 26 percent is stored in private or public clouds. However, enriching existing data with data sourced from outside the enterprise has become common practice, with 68 percent of all respondents taking advantage of it. This, for example, includes Enterprise Applications such as CRM or ERP (cited by 72 percent) and third-party data sources (cited by 54 percent). Roughly three quarters (74 percent) of respondents think their data landscape is so complex that it limits their corporate agility. Another 86 percent say they are not getting the most out of their data and that there is much more they could do with it. While three out of four enterprises (74 percent) do regular cleanups, a mere 23 percent of all respondents consider their data to be of high quality, which suggests that many companies are overwhelmed with ever-increasing volumes and struggling to turn big data into “good data”. Companies clearly see the need to upgrade their capabilities going forward. Analytics (cited by 96 percent) tops the list of technologies most important to harness the power of big data and derive strategic insights. This is followed by the Internet of Things (cited by 85 percent), Machine Learning and Artificial Intelligence (each cited by 81 percent). 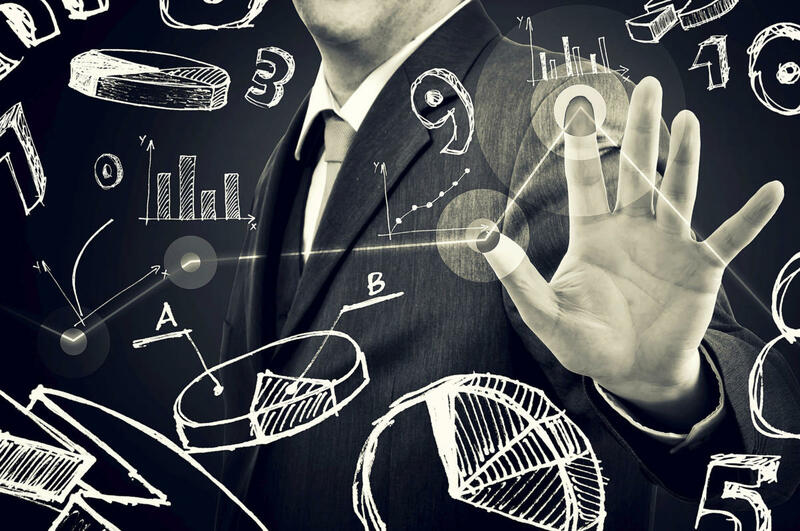 While 79 percent of respondents say that data scientists are pivotal to ensure a company’s success, just half (53 percent) currently have data scientists on their payroll. As demand outweighs supply, 78 percent of respondents worry that a talent shortage could impede their efforts to become a data-centric organization. Enterprises need to overcome the complexity of their data systems and capitalize on the vast amounts of data they gather from a growing variety of sources. With data quality still being one of the most prevalent issues (as highlighted in the study), enterprises should consider implementing a data governance model that helps them navigate across the data lake. Moreover, advanced analytics will aid in the effort to convert shiploads of raw data into actionable insights. Otherwise, organizations run the risk of building huge data silos and generating substantial data retention costs, but without being able to yield the hoped-for returns. Their data arsenal — no matter how large — will remain sadly underexploited. With data still largely residing on-premises, more advanced big-data users should also consider taking greater advantage of cloud technology to open a whole new array of use cases — especially when it comes to integrating, correlating, and enriching existing data with additional data sources. Despite some claims to the contrary, the looming shortage of data scientists and other big data experts could become the biggest bottleneck going forward. Relying on hiring external talent alone won’t be the solution, as demand heavily outweighs supply. As the situation is expected to only get worse, enterprises must evaluate other alternatives such as wide-ranging requalification and training programs for the existing workforce, and a stronger reliance on deep learning and AI. These scenarios won’t obviously solve the shortage in the short term, but if they act now, they can certainly help alleviate mid- to long-term issues.